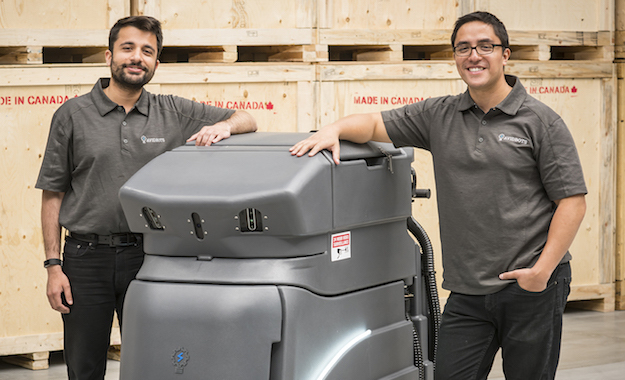 How Waterloo’s Avidbots looks to bring autonomous floor-cleaning robots to the masses. No one enjoys cleaning floors; it’s why those dastardly Roomba’s have become so popular. But when it comes to larger spaces like industrial warehouses’ or complex hospital hallways, someone with a giant floor-cleaning machine still throws on headphones and shines the night away. So what if the concept of a Roomba could be applied to a much larger scale? 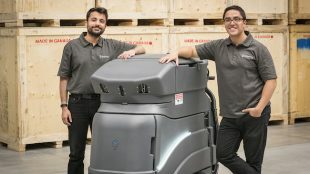 Enter Avidbots, the Canadian company behind the Neo, an autonomous floor cleaning robot designed large unattended spaces. Originating as a collaboration between University of Waterloo engineering graduates Pablo Molina and Faizan Sheikh, the pair initially wanted to build an autonomous machine for cleaning snow. Eventually talked out of the idea by a snow removal contractor—noting mild winters and seasonal employment—they were intrigued by their local Wal-Mart and how it was cleaned every night. Fairly quickly, the duo realized they couldn’t just convert a manual floor scrubber into an automated sensor-bearing machine. The complex differences between the two concepts were compounded by the fact they couldn’t find a manual floor scrubbing company that wanted to partner with them. The team decided to design their machine completely from scratch, maintaining the look of a traditional floor cleaner, but with a tweaked design that accommodated their sensors and proprietary “guts” of the machine. Eventually, Molina and Sheikh landed where they are now with Neo, which launched in early 2017. 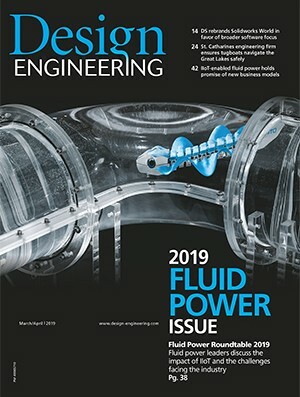 Currently in its 9th generation, the purpose-built floor-scrubbing robot’s lasers and 3D cameras along with AI algorithms allow it to clean up to 1.2 metres per second and navigate a space within 5cm accuracy. Acquainting the Neo with a new space to clean is fairly easy, the inventors say. Users walk the machine around the room, familiarizing it with where walls, doorways and static objects are located. The Neo can then be turned on and set to clean freely. One of the more interesting aspects of the Neo is the option to modify the robot depending on the environment it’s deployed in. For example, Neo can be equipped with additional sensors that track fast moving objects like forklifts and a blue light can be attached to the front to help track the machine from a distance. In addition to hardware, Neo’s behavior can also be modified to increase safety and reliability. In an industrial setting, for example, Molina says Neo can be programmed to slow down at intersections where it could run into cross traffic. Utilizing a variety of smart sensors and A.I. software, customers can remotely tell the Neo it needs to slow down in this area or within a specific distance. In it’s 9th iteration, the Neo can clean up to 1.2 metres per second and navigate a space within 5cm. According to Molina, The Neo’s reliability stems from its smart sensor network, which maps out the physical space of a facility, even one that changes. In situations where the facility changes every month or so, the Neo is able to remap itself fairly easily through a remote terminal or walking Neo around the general space. In severe cases, when the layout of a space changes on a daily basis (think grocery stores) Neo technicians can train customers how to remap the robot by hand through an internal support mode. For Molina, reliability and safety are at the core of the Neo project. Unlike the strict safety regulations governing industrial robots, Molina laments the current lack of regulations for mainstream robotics. Even so, the Avidbots team believes industry-wide safety regulations fit for mass-market autonomous machines of this type are coming within the next three years. As part of that policy-setting process, the Avidbots team believes certain standards, such as larger collision detection radii and more powerful sensors, should become best practice. By continually iterating the Neo, the Avidbots team takes pride in being a part of standardization for this type of robot. What’s been the biggest move for Avidbots this year is a partnership with Compass Group Canada – a food service and support services company based in Mississauga. The partnership began with an application phase, basically Compass Canada testing out the Neo to find a suitable fit. Loving what the machine is capable of, Compass purchased one of the Neo machines and will roll it out with the company’s facilities management subsidiary, Eurest Services, for their education-based clients. Molina and Sheikh hope Eurest’s adoption of the Neo will increase its visibility with other Compass companies. “The Neo has proven to be a cost-effective and productive tool for our operations team, allowing us to maintain our commitment to continuous improvement and innovation for our clients,” says Paul Rocha, VP Operations for Eurest Services. Additionally, Neo works in tandem with a web portal that provides real-time data to how much area the Neo has cleaned and how much water is being utilized. Color-coded maps, productivity statistics, run time, water-usage, maintenance, and other diagnostics are also available. Now with this technology, companies have access to metrics and KPIs previously unavailable to them. In terms of the future, Avidbots is focusing primarily on getting the Neo in as many hands as possible, the Compass Canada relationship being a step in the right direction. When asked about future models for different applications, Molina says there’s nothing planned but Avidbots is certainly open to the idea.